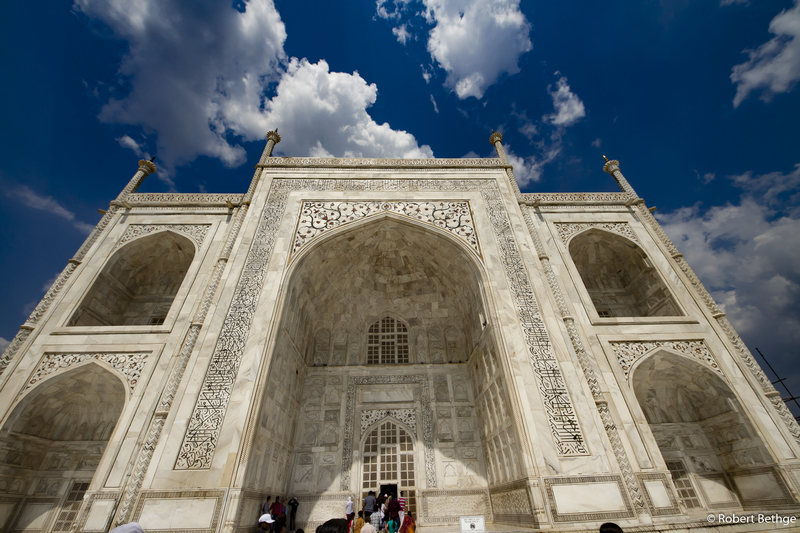 All around the world, we use one building as a symbol for beauty and luxury: The Taj Mahal! 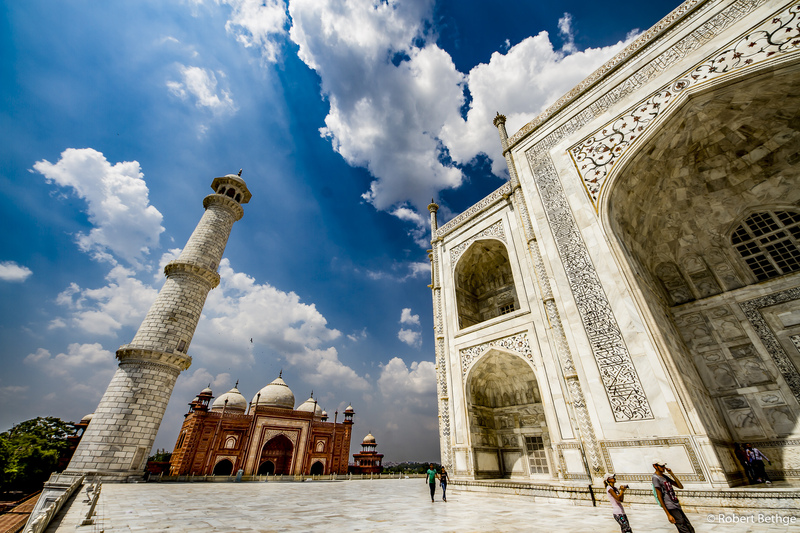 When I had arrived in New Delhi, my friends tried really hard to convince me to go on a two days tour with them and some other friends from Latin America, to see the Taj Mahal and other sites. 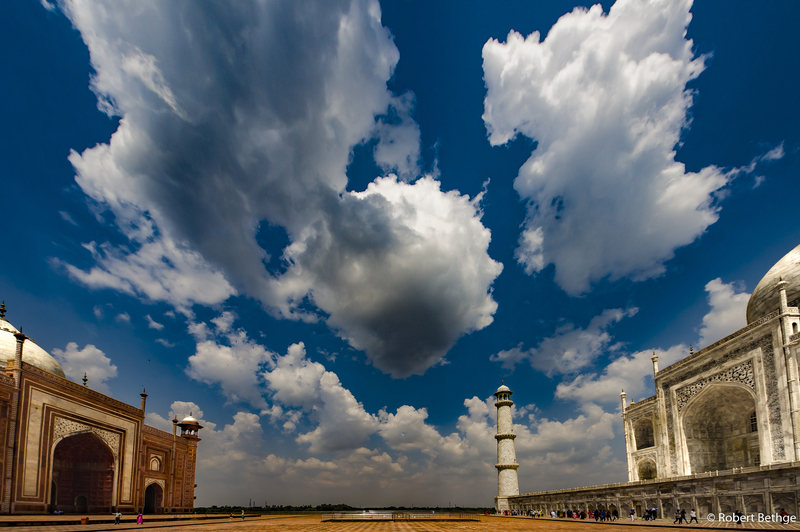 The Taj Mahal is about three hours from New Delhi. Since I was only going to be in India for three days, I wasn’t thrilled to sit in a car for that long. Then I met the other members of the group and they seemed to be nice people, so I changed my mind and decided to join them (okay, I admit that it helped that one of them was a gorgeous gal from Peru…but she was traveling with her fiancee, who was also a nice fellow…). The folks from the meditation center where my companions had attended some training were nice enough to put together a small tour for us. They arranged the driver, the car and booked a hotel in Jaipur, the second station on our trip. At 2 am, we were still putting together the details of our tour. We were going to meet at 5 am to start or journey and I figured that it would be the 3rd night without sleep. I was asking myself when and where I was going to pass out, but so far I felt fine. Having exciting things happen around you can mobilize unknown reserves, it seemed. I decided to not even try to sleep for one or two hours and checked out of my AirBnB accommodation to be at the agreed meeting point on time. Our Latin American friends showed up fashionably late (45 min…..nothing for Colombian standards! ), but everybody was in a great mood. The driver arrived and I inspected the car. I was wondering how we’re going to squeeze seven people into a car that seemed to be have only 5 passenger seats, but with some willingness to improvise, we managed and eventually, we were on our way to Agra, where the Taj Mahal is located. The area around New Delhi is completely flat and kind of boring, so time for an urgently needed power nap. The cute Peruvian girl eventually asked the driver to put on some music, which sounded like Hindi Metal in my state of tiredness. I could have strangled her for a moment….but what don’t we forgive a beautiful lady! My Colombian friends were not into Indian food at all (my impression is that most Colombians are into Colombian food. Period! ), so we stopped at a place with various modern fast food options and ended up eating some Subway sandwiches. Honestly, there are worst options! After my short intermezzo of wanting to strangle the Peruvian girl I was getting into a better mood again. 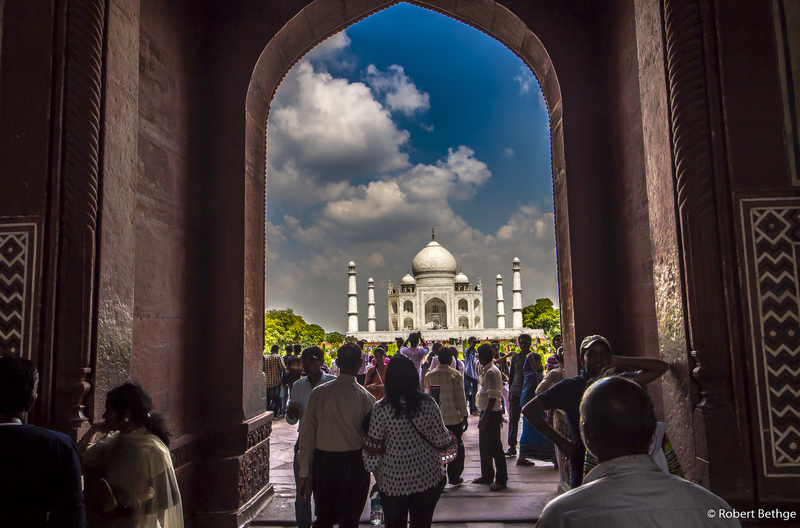 Eventually, we arrived in Agra and after a short drive through the chaotic city we stopped at the gates of the Taj Mahal. 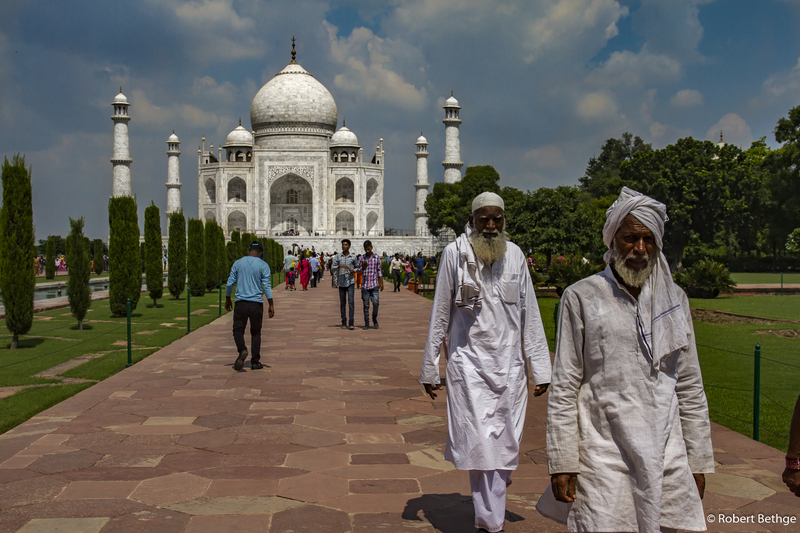 We met our tour guide, and I immediately told him about one of my favorite movies, “The Slumdog Millionaire”, where the boys make a leaving by stealing and selling shoes from tourists that are visiting the Taj Mahal. He was not pleased at all! Being already the second Indian who told me that he felt that India was getting a bad rep because of this movie, he explained that in the Taj Mahal, nobody needs to take off their shoes. It dawned on me that he might have a point and the directors of the movie might have taken some artistic liberties here. A tour of the Taj Mahal costs about $10 and includes a bottle of water. I finished my water right away, which I ended up regretting later. 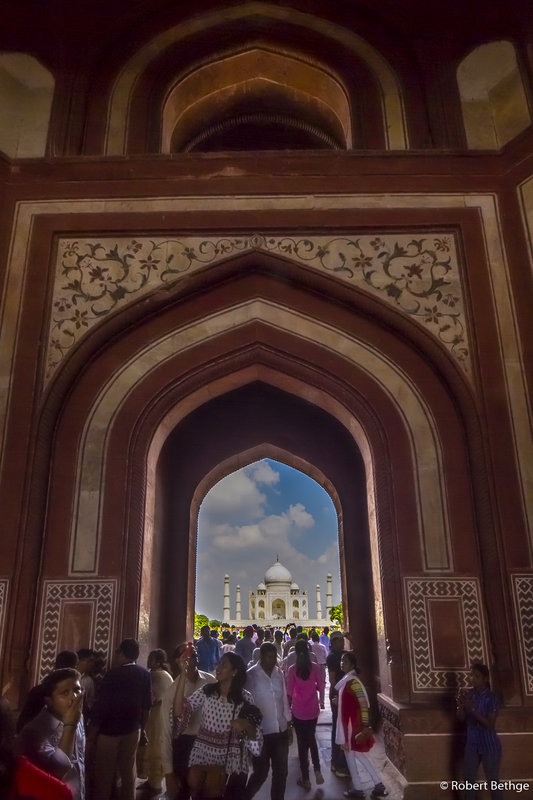 With our guide, we were able to pass all lines and enter the Taj Mahal without delay. Then it was time for photo taking! 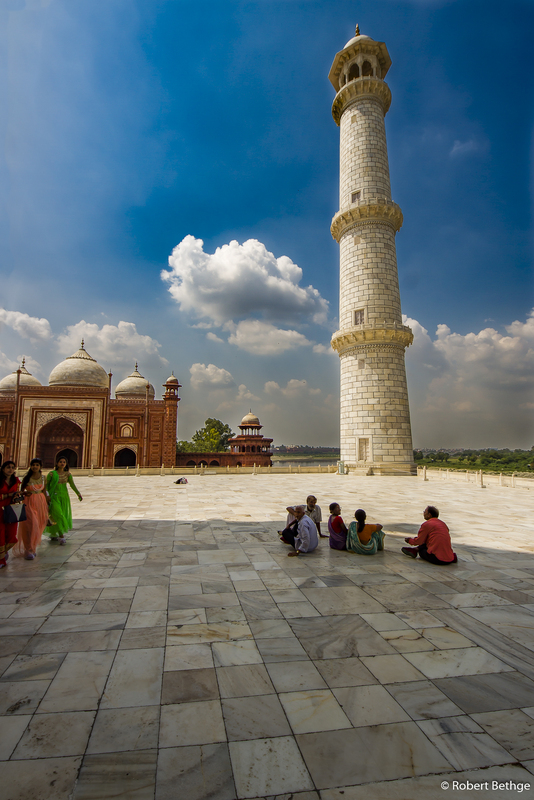 The entire complex of the Taj Mahal is huge and consists of various buildings that are quite spread out. Temperatures had reached about 30 degrees Celsius, and I was starting to understand why they hand out water. In the summer, temperatures here reach 46 degrees! 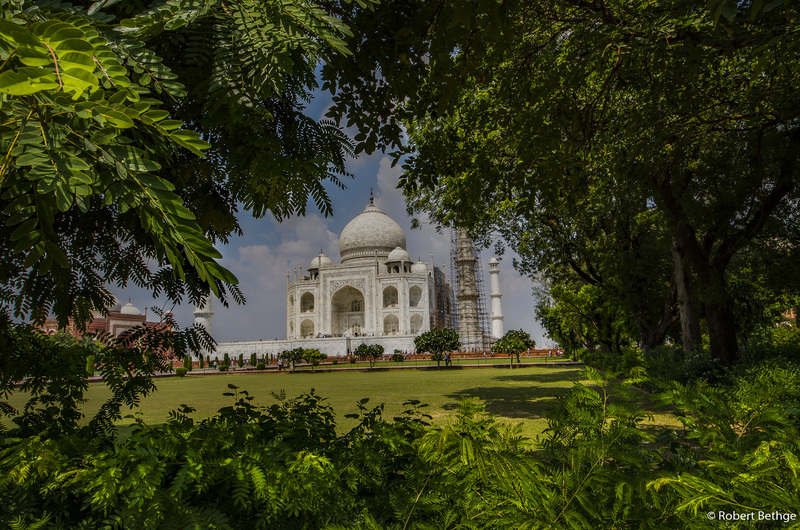 The Taj Mahal is an architecture photographer’s dream and I was glad I brought my super-wide 8 mm Sigma zoom lens. I also used Automatic Exposure Bracketing (AEB) to take 3 different exposures in quick succession for each motive I shot, which I would later on combine into the HDR (High Dynamic Range) shots shown here. Usually I try to avoid having people in my shots, but in India, they actually add to the picture with their interesting, colorful clothes. By the time we were done with our tour I was severely dehydrated and wanted only one thing: WATER! Our driver gave us the usual run around by taking us to what he would call the “second part of the Taj Mahal”, which ended up being a sales presentation for stone handcraft manufactured similarly to the art in the Taj Mahal, we were told. Anyway, I got my water and the presentation was interesting enough and the sales pitch not too pushy. After changing some money and saying goodbye to our tour guide we were on our way to Jaipur, the next station of our trip. In hindsight I’m so glad that I let my Colombian friends convinced me to go on this journey. 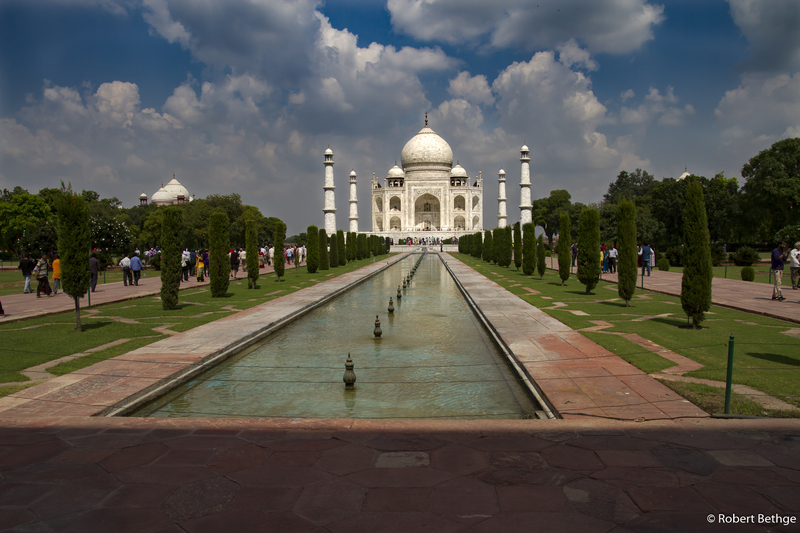 From our tour guide I learned that Taj Mahal is Persian and means Crown of Palaces. 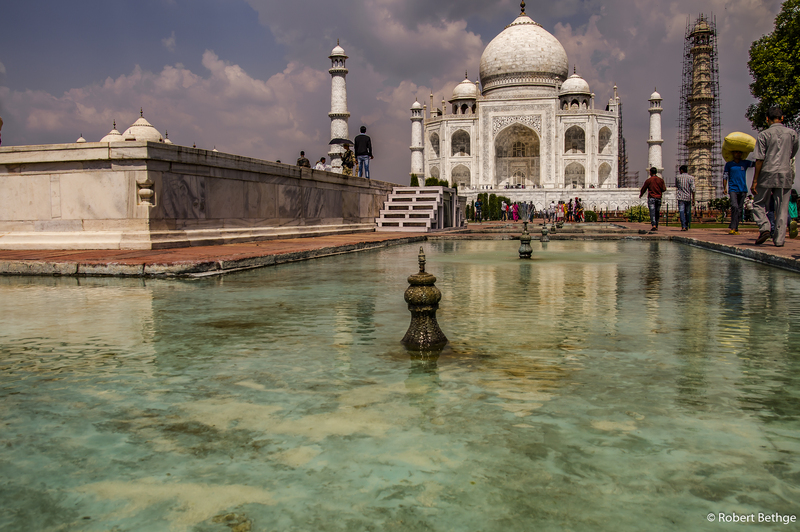 It was built in the 17th century as a tomb for Mumtaz Mahal, the 4th and favorite wife of Shah Jahan, the emperor of the Mughal empire, the 2nd largest empire on the Indian subcontinent. Great photos of India Robert. Look forward to your next destination! Thank you, Terry! I’m glad you like the photos. 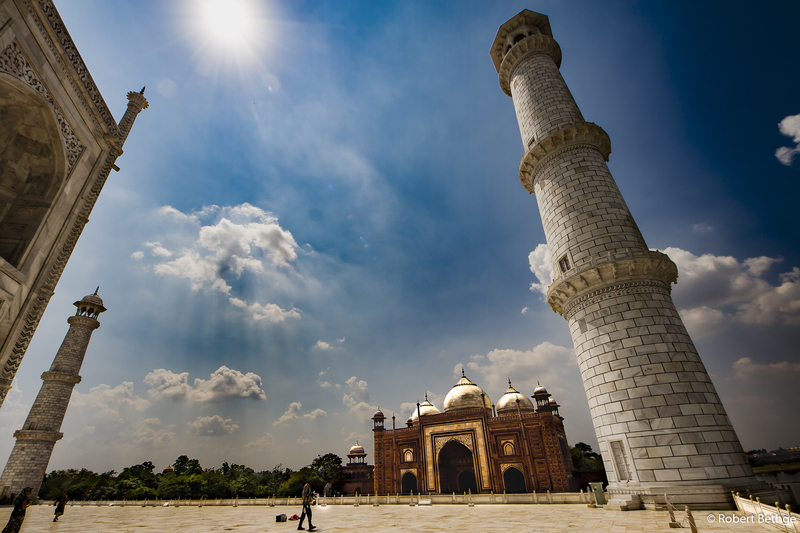 India is quite a remarkable place, and I can’t wait to go back. So much to discover in this world!